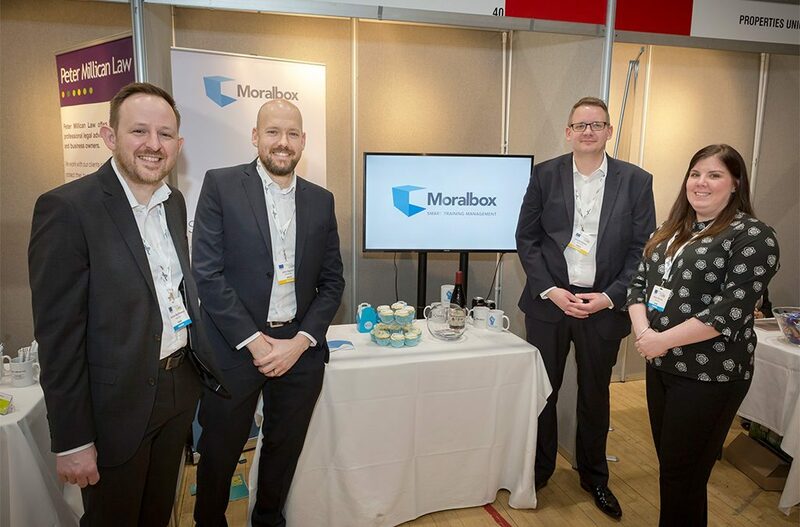 In our latest Spotlight On feature, Leanne Fawcett chats to John Dunnill from specialist training software company Moralbox, which was launched by John and business partner Gordon MacPherson two years ago. The company offers employers within sectors including construction, engineering, care and hospitality tailored packages which enable them to fully map the training and development needs of their staff, whilst also giving individuals input into their own learning journey. It’s two years since Moralbox launched. How has the business developed in that time? Really well. Our first year was very much focussed on establishing the business and creating pilot packages which we could use as demonstration tools for businesses to fully understand our offering. The technology was initially developed to service the construction industry, however, when were given the chance to exhibit at last year’s EMCON event, within the Incubator Zone, is made us realise that our software package is perfect for companies within the engineering and manufacturing sectors, where of course training and development is so important. Year two has seen us invest in two members of staff, Gareth and Alison, who are our sales team, and that has given us the resources to really go out and sell the product. How was being involved in last year’s EMCON event for you? It was really good for us, helping us to raise awareness of what Moralbox does and meet companies we wouldn’t otherwise have had the chance to speak to. During the day, we were introduced to Dyer Engineering and a result of follow-up meetings, Dyer became Moralbox subscribers. Dyer is a forward-thinking company and we have established a great working relationship with them. We developed our new ‘Skills Assessment’ feature in collaboration with Dyer which is now available to all other Moralbox subscribers. This feature tracks the progression of an individual’s skill level for equipment, activities or tasks applicable to their role. Working with Dyer we also developed an ‘Areas’ feature, allowing subscribers to divide their organisation up into a hierarchical structure so people can manage personnel within their division or department. This opens Moralbox up to much larger organisations and helps organise their training even more efficiently through delegation and security as access to data is restricted. Dyer Engineering also had a need to manage welding qualifications, so we are currently in the process of developing this specialist feature for them. Working with subscribers to help them get the most out of the system, including custom feature development, is our top priority. You also exhibited at this year’s EMCON. How was that experience for you? We did, and it presented a whole new area of growth for us. We spoke with several training providers on the day who are very keen to join our ’Training Partner Pilot Programme’ which once matured will be massively beneficial to all Moralbox subscribers enabling easy booking and tracking of training sessions. We were also approached by a company within the hotel services industry which is something we hadn’t really thought about before but Moralbox is a great fit for them. What are the plans for the next year? To continue to grow and increase our userbase which in turn will increase our capacity to go out and win more work. We’re also really excited to be rolling out some excellent new features such as ‘Induction and Onboarding’ which is designed to streamline when companies hire new staff across their workplace sites. Overall the response has been very good so far and we’ve had some great feedback from our subscribers. Our technology really is making a difference to businesses whatever sector they’re in. We really want Moralbox to become the next big tech success story in the North East, particularly in creating employment opportunities in County Durham. We’re all local and our office is based in Seaham. We’ve seen a lot of new businesses thrive in the area and we love contributing to that boom!